Why search all over town when the perfect gift is just a click away? 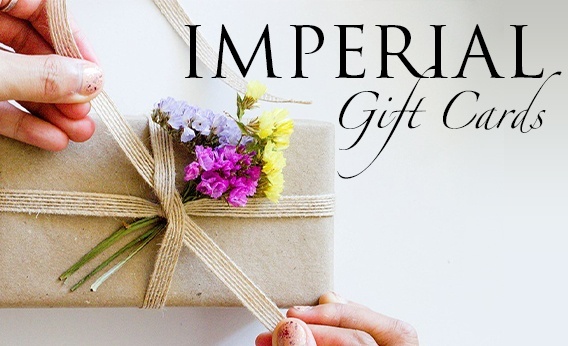 Convenient and simple, Imperial Salon & Spa gift cards may be redeemed for merchandise or any of the dozens of services provided by our talented staff. So stop guessing and choose the gift that’s guaranteed to put a smile on their face. Click Here to Get Your Gift Certificate Today!